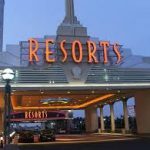 One of the primary appeals of online poker for many is the ability to play unlimited tables at one time, but two sites are now eyeing an end to that practice. 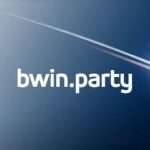 PokerStars is currently testing the concept of a table cap in Italy, a market which is segregated from the rest of the world. Players there are now limited to multi-tabling no more than six cash game tables at a time. Before, users could play as many tables simultaneously as their screen space would allow. 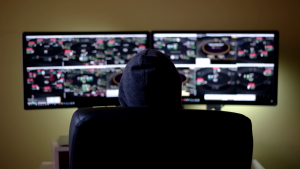 PokerStars officials admit that extreme multitabling is not necessarily a widespread issue – only 0.3 percent of PokerStars players are playing more than six tables at once — but notes that it only takes a few people doing that to slow a game down for everyone else. Rasset says they’ll use the information from the Italian experiment to see if table caps are something they want to eventually implement on their other domains. And while PokerStars waits for test results before deciding whether or not to deploy Table Caps across their entire network, the world’s largest online poker operation isn’t the only one that sees limiting multi-tabling as potentially beneficial for the long-term health of the game. Poker pro Phil Galfond is in the midst of launching his own poker site, Run it Once (RIO). In his latest blog post detailing the site’s progress, Galfond reveals that RIO will also have a table cap in place when it opens, and not just on a trial basis. Galfond points out that while a table cap means less earning potential for his site, in the grand scheme, it also means more money for everyone else. “The fewer tables each pro can play, the fewer seats per table will be occupied by pros, and this will positively affect win and loss rates for everyone,” Galfond explains in his blog post. However, it’s yet to be decided what that cap will be set at. Players will either be limited to four or six tables on the new RIO site, and Galfond is putting the call out for public feedback to help him decide which it should be. It’s not the only eye-opening decision that Galfond has made for his up-and-coming site. Most notably, he raised the ire of some online regulars when he announced that using Heads-Up Displays (HUDs) and tracking software, something that was long standard on most poker sites, will not be allowed at RIO. Instead, he’s trying something new by implementing dynamic avatars that will express varying emotions depending on how those users are playing the game. In his latest update, Galfond also unveils some potential designs for both the tables and cards, and once again, he’s asking for user feedback before finalizing any decisions. Lol, first I thought by picture, that you shall wear a cap for something. I thought of some VR cap for poker. But no. This what I read finally in this News sounds really like stupid. Why are they attempting this at all? Do they really want to hush away all pros? They should be happy, that there are also still playing some regs. They are the good examples to recreational players. What shall it mean for recreational players or starting players, who still have a dream? That it becomes harder and harder to become a pro? In my opinion I like the concept especially from RIO. This brings you back to old school poker and you have to stay focused on every table to see what is happening so you can pick up tells. With all these new software everything is so easy and just a finger-click away from every player. But with these new steps at RIO its bringing back the love for the game. Just waiting to join there. Not allowing HUDS? Why?They are expensive and nobody has access to them?Do HUDs make such a difference because I use one and I am not relying only to those numbers I have to put my opponent to a range,every single time!! So far you can tell that not a lot of commenters play higher stake zoom on PS . Most players insto fold . Not multi tablers . They slow the game to a crawl . ZZZZZZZoom . It would be an interesting psychological and dexterity test to examine how many tables a professional poker player could play-at once-still retaining the ability to function at a constant, high-level with the immediate responses needed, over a set period of time-say 4-6 hours. Seems incredible that even a pro could endure long periods of watching over 6 tables with set criteria. only 0.3% of the players play in PS with multi screens, this will not change at all, it will not lead to anything, it will only make the players go look for other sites that let them play more tables ..
You think the zoom and turbo tables speeds tings enough for players looking for a fast paced game. I believe this is a very interesting topic in my opinion I don’t see it bad for Online Poker a Six tables CAP it should be ok besides the Pros aren’t playing only at one site they always have at least 2 poker software open and Six tables in one and six in other there is twelve tables in my opinion only few people can manage to play 12 tables at the same time and play good in all of them personally I’ve been playing poker by only 18 months and still struggle if I have 4 tables opened it really requires concentration and skill to handle all of the and still win some money it might really help the game be faster and be able to play more hand on the table where nobody takes long time to make his play. It strikes me there is a hidden agenda. As Rasset said they’ll use the information from the Italian experiment to see if table caps are something they want to eventually implement on their other domains. I don’t see a reason to do something with number of tables when PokerStars officials admit that extreme multitabling is not necessarily a widespread issue – only 0.3 percent of PokerStars players are playing more than six tables at once — but notes that it only takes a few people doing that to slow a game down for everyone else. Сlear as mud…Let’s hear out the other participants’ opinion on this.